Every minute live at Fridays! 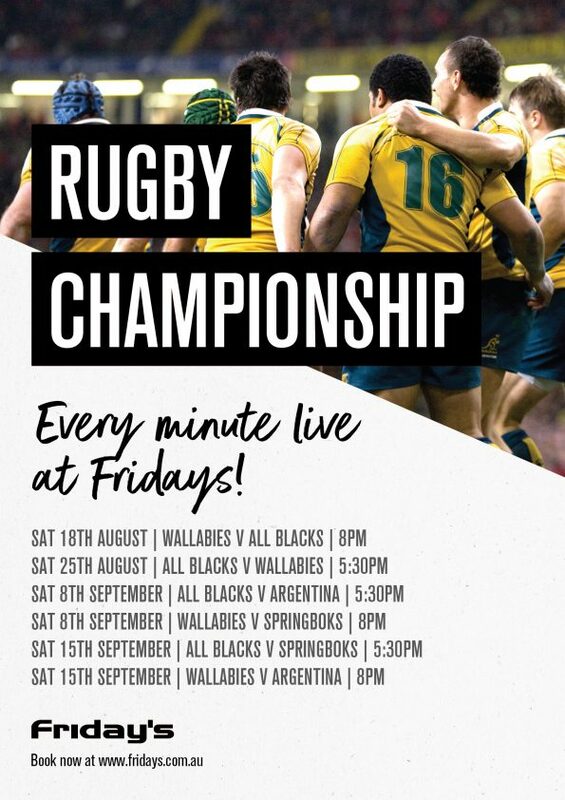 We will be playing every Rugby Championship match LIVE at Fridays. Grab your mates & head down to cheer on the Wallabies!